Ever wanted to learn coding but felt it’s too complicated? 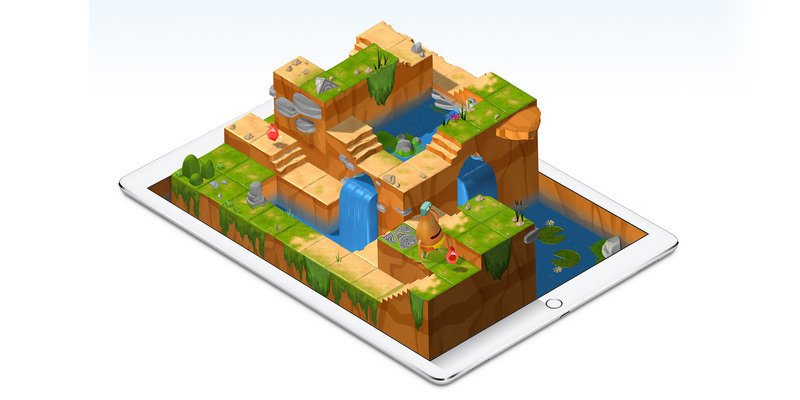 Well, Swift Playground from Apple allows you to explore the fundamentals of coding via simple lessons and puzzles, which are as educational as they are entertaining. This free app assumes you have zero knowledge of coding and aimed at the absolute beginner. When you start the app you’ll see lessons (called playground). Tap “Learning to Code 1” to get started. Rather than type obscure commands though, you help a character named Byte perform the code by resolving puzzles. The QuickType keyboard lets you input the command you like or use your iPad’s keyboard. As you guide Byte, you’ll also see what the code actual code looks like on the other half of the screen. Basically you just compile some commands using Byte, and when you’re done, tap Run My Code. The code in the app by the way, is genuine Swift code, not something that was just made up. The other lessons explain how to do loops, and there are also hints available if you’re having difficulty. The nice thing about Swift Playground is you really learn how Swift works and you can proceed from simple to complex codes at your own pace. Another thing going for the app is it lets you jump from lesson to lesson so it doesn’t feel restricted. Swift Playground is designed for 12 year old kids, but even adults who want to learn coding will find this useful. Because it allows you to code by dragging and tapping, you become more enticed to continue.